Click on pictures to obtain larger images. Left: Sir Francis Grant (1803-1878). 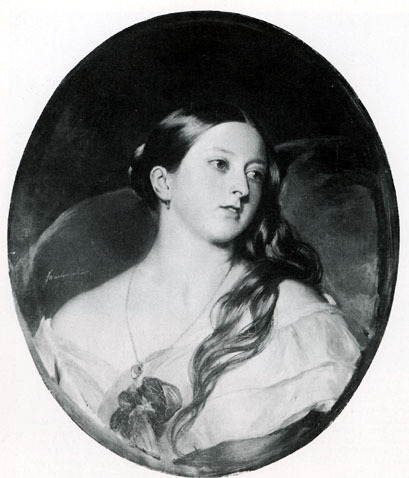 Portrait of Queen Victoria, 1843. 96 x 58 inches. United Service Club. Middle and right: Portrait of Prince Albert and Queen Victoria by Franz Xaver Winterhalter (1806-1873), both 1842 and 52 x 28 inches. 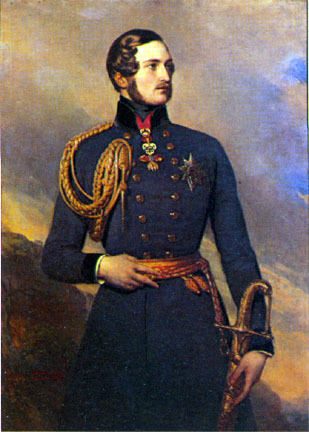 (Left) Franz Xavier Winterhaler (1806-1873). 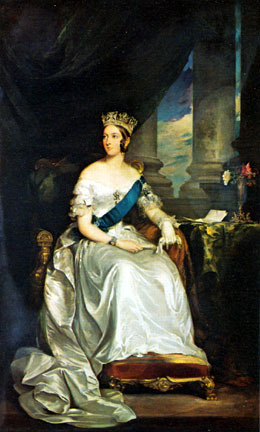 Half-length Portrait of the Queen. 1843. 25 1/2 x 21 inches. Coll: Her Majesty the Queen. 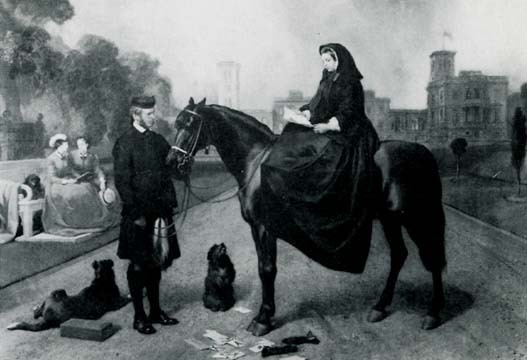 (Right)Sir Edmund Landseer (1802-1873). 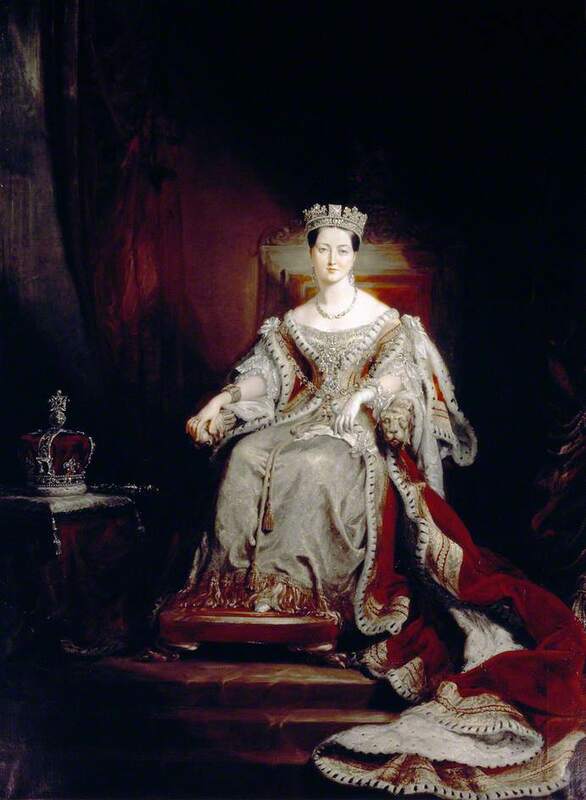 Queen Victoria at Osborne in 1866. 58 x 82 inches. Coll: Her Majesty the Queen. 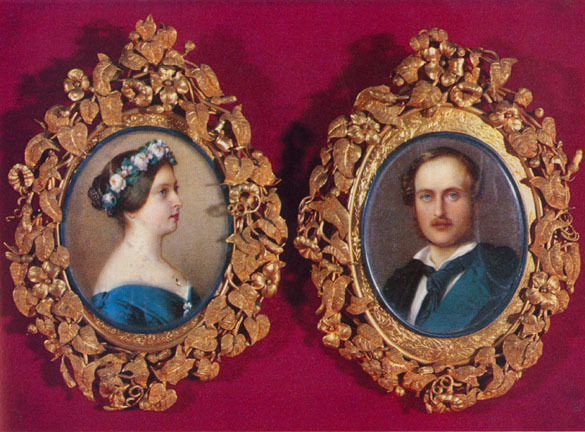 Left: Portraits of Victoria and Albert. Right: Queen Victoria enthroned in the House of Lords by George Hayter. Click on images to enlarge them. 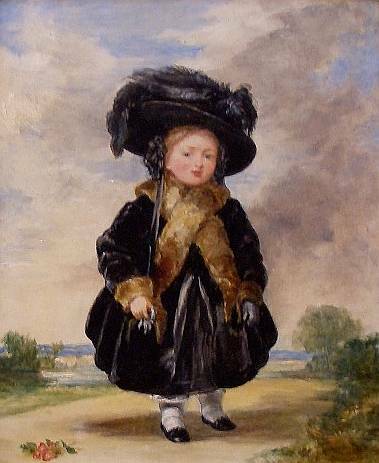 Middle: Queen Victoria, Aged 4 by Stephen Poyntz Denning (1821-64). 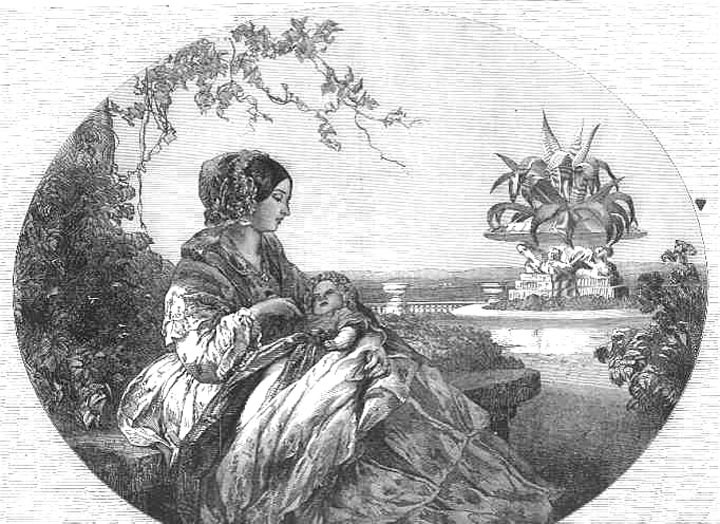 Right: Her Majesty and the Infant Prince Arthur — From a Painting by Winterhalter. The Illustrated London News. 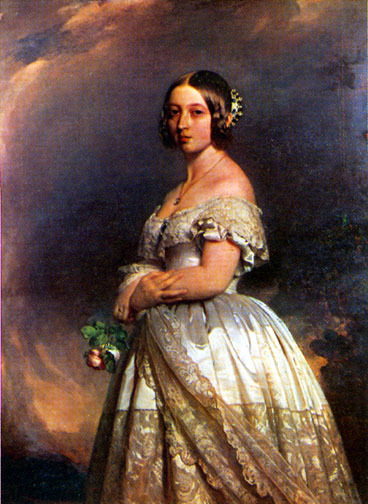 (28 August 1852): 172.